Tas’heelat Car Leasing Company provides car leasing and rentals services in the Kingdom of Bahrain for both individuals and corporates. TCL (Tas’heelat Car Leasing) provides a customized leasing solution that suits the demands in the local market. With the variety in our fleet from Cadillac, Chevrolet, GAC, GMC and Honda we provide a wide range of options that suits your requirement. If you are looking for a car to lease in Bahrain, then Tas’heelat Car Leasing is your answer. TCL offers long-term for both Individuals and corporate leasing to all types of businesses and needs through the ability of choosing the proper car for the required period with monthly pricing at competitive rates. TCL Elite corporate partners enjoy no long-term ownership risk, as well as a special maintenance and insurance package that are beneficial to your requirements. Free towing facility in case of accidents/breakdowns. Management of the corporate fleet remains under the administration of TCL. TCL is one of the fastest growing companies in car rentals business in Bahrain. TCL provides rental services in different locations which are: Sehla, Sitra, Eker,Juffair and Budaiya. Renting a car made so easy with TCL as you can book your car through a phone call, website or even BCFC mobile application. 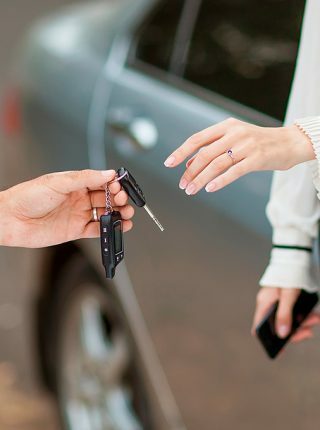 To insure customer satisfaction, TCL operates a diverse fleet of modern and reliable vehicles that meet the needs of all customers ranging from small economy cars, medium and large sedans vehicles and SUVs with competitive and affordable packages based on daily, weekly and monthly rental rates. TCL Car Rental takes care of its corporate base customers by offering competitive corporate rates and superior customer services lead by a highly trained corporate rental team. Whether for company needs or personal use, our highly trained and dedicated team is ready to assist you in any way you need.